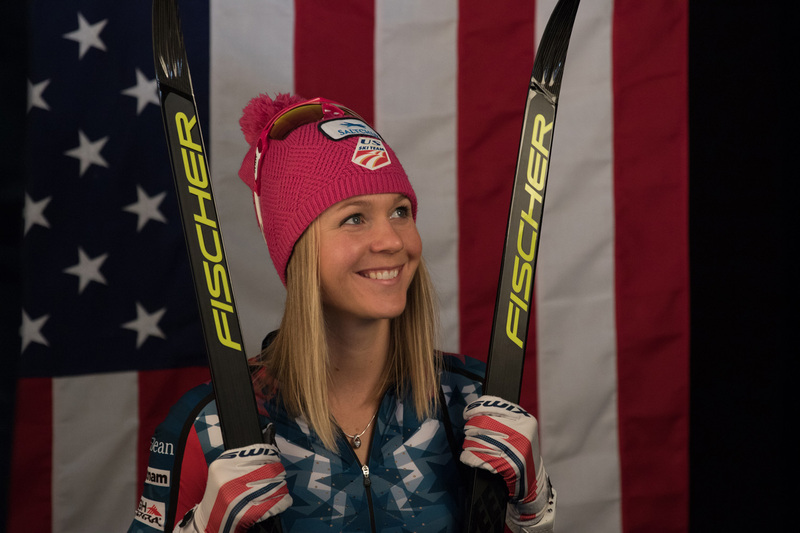 You have been racing on the US Ski Team for five years now, and have been gradually climbing the ladder each year towards being one of the best cross-country skiers in the world. Provide us an insight into a day in your life. An average “offseason” day entails waking up, eating breakfast, and training between 1.5 and 3 hours. Then coming home and doing body care (foam rolling, massage, icing, stretching), I make some food to fuel my body for a second session. Most afternoons between training sessions, I will go into physical therapy to get more body care to make sure my body is able to sustain the large loads of training. I then head out for my second training, anywhere from 1.5-3 hours again. Afterwards, I come home and make dinner, get a little rest and catch up with my fiancé, then I head to bed to take on the next day. The majority of my “off-season” training is running, roller skiing, biking, hiking, swimming and weight lifting. I am lucky to have many options to choose from to help build my body into its fittest form during the summer months. 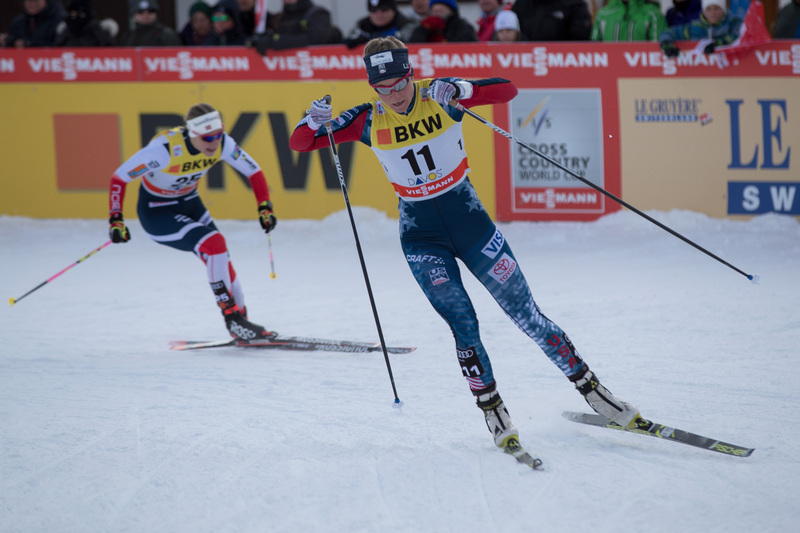 In 2017, you won your first individual medal on the World Cup circuit, racing in the fifth race of the seven-stage Tour de Ski, a 5km individual event, where you took the home bronze medal. Share with us your training and key factors that helped you become a World Champion? Winning my first World Cup individual medal was a huge step in my career. It was a goal I had been targeting that helped motivate me to work extra hard for the next 365 days of the year. As a cross country skier, we live four months of the year out of our suitcase as we travel across Europe racing on the World Cup Circuit. This means a different country, different location, and different hotel room every weekend, for four months. At times this can be tough, but to achieve some of these hard earned goals along the way makes it all worth it! In 2015, you graduated with a degree in Accounting and Nonprofit Business Management from Alaska Pacific University. Upcoming Sport lovers feel its tough to manage studies along with professional sports, share your view on the same. I have always loved combining my studies and sport. While it can be challenging to manage, I feel like the benefits outweigh the challenges. When skiing isn’t going as well as I want, school is something to give me purpose. When school feels too overwhelming and challenging, skiing is something I know I can excel and charge at. I feel like both of these challenges combined have encouraged me to be the strongest version of myself. Much of my school is online, and meets at 7-9PM Alaska time, so that equates to signing in from 5-7AM the following morning Central European Time.